Commercial and Residential Fitouts: Partitioning; Ceilings; Glazing; Painting; Lighting; Internal Restoration, Maintenance & Repairs; Demolition, Defit & Make Good; Electrical & Data; Project Management. 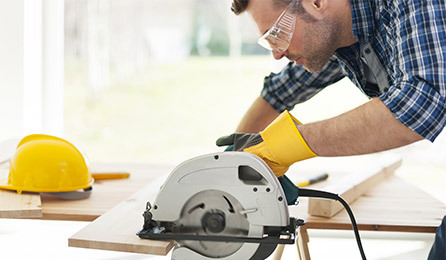 Sound Partitions adheres to the latest OHS Australian standards and can compile JSA (Job Safety Analysis) documents, provide MSDS (Materials Safety Data Sheets) and SWMS (Safe Work Method Statements). Contact Sound Partitions to discuss you next project, get an obligation free quote or give us some feedback. Sound Partitions, based in Perth Western Australia, has been providing all aspects of commercial and residential fitouts for over 40 years. Experience and professionalism brought to any job, big or small. Working from architectural plans or a custom onsite measurements we can design, supply and install new partitioning to the home, office, retail showroom, warehouse, and more. With a range of plasterboard, glass and timber options available Sound Partitions can create the right work space for you. We also offer a range of associated building services to have your premises up and running as soon as possible. Plasterboard, Glass, Timber Lined, MDF (marine grade optional) including door frames, doors and windows. Supply & Installation of glass with timber or aluminium window frames. We do tinting & decals. Sound Partitions can also offer professional painting services from surface preparation to final finishes. We design, supply and installation of commercial & domestic lighting, including downlights, spots, LED, & more. We're not just about new builds. We do major and minor restorations (including heritage work), maintenance & repairs. Demolition of existing interiors & re-fitting ready for leasing. Includes responsible removal of waste materials. We can supply & Install all of the electrical and data cabling & connections needed for your property. Tie this all together with professional project management. Get your property fitted out on time & budget. “Sound partitions recently completed internal ceilings and walls on an Eco spa resort in Perth hills. After three quotes we decided to go with Sound Partitions. Not just because of price but the way they conducted them self’s on site during the quoting process. Very friendly and knowledgeable people who are willing to do what it takes to get the job done. After works had been complete they cleaned up the site like they were never there. “Thanks for your ongoing high quality work. In particular the dividing wall separating 2 rooms in the aged care facility in Mandurah. Get in Touch for an Obligation Free Quote Today. Commercial & Residential Fitouts including Partitioning, Glazing, Paining, Lighting, Defit & Make Good, Building Restoration, Maintenance & Repairs, Electrical & Data, Project Management Services. Or Just Give Us Your Feedback. I consent to Sound Partitions collecting my details through this form.